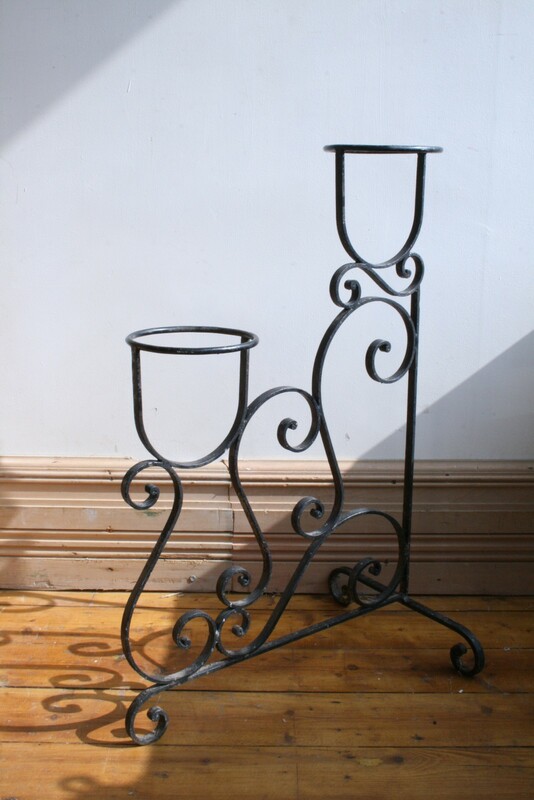 This charming plant stand originates from France. Its wrought iron frame is characterfully rusted in patches which only adds to its charm. It holds two plants.